Carbohydrates are the type of nutrient that your body needs in the highest amounts. Between 45-65% of your calories should be gained from carbohydrates. They have a bad reputation since they can contribute to weight gain, but they are necessary in order for your body to function properly. Your body quite simply cannot operate in the most efficient manner if your diet does not include some carbohydrates. Carbohydrates’ role in your body is providing energy. They are your body’s main fuel source, needed for organ operation, physical activity and functioning of your brain. 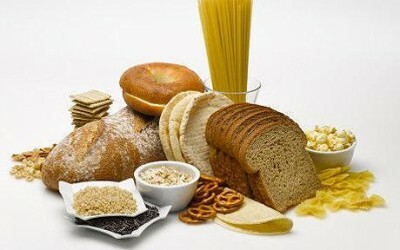 All of the tissues and cells need carbohydrates, and carbs are also vital for waste elimination and intestinal health. Once they are in your body, carbohydrates are easy to convert into fuel. When you eat carbs, you take in fuel for your body to metabolize. Your body gains carbohydrates in whole grains, beans, vegetables and fruits, which give your cells that glucose they need to run their metabolic functions. Your body couldn’t function at its most efficient level if you didn’t eat carbs. In particular, your brain relies on carbohydrates solely, for its metabolism. If it didn’t have carbohydrates function, your body would be forced to resort to using protein for its fuel. However, protein is needed for other processes at the cellular level. When protein is wasted, being used for fuel, you will have less in your body to repair tissues and to produce enzymes. Taking in carbs will allow your body to utilize protein for its other purposes, rather than for fuel. Carbohydrates give you energy for proper metabolism. That’s why dieticians have recommended that over 50% of your calories should be eaten in carbs. Some carbohydrates are immediately used for processes in the cells, while excess carbs will be stored as glycogen, which is found in the liver. Some of these carbs will turn into fat, and be stored in fat cells. Carbs play a vital role in your body’s ability to produce B vitamins, which are made by good bacteria. Good bacteria need the carbs consumed in the digestive tract. They help you in return via the production of valuable vitamins your body needs, in order to function properly. Among the most important of the carbohydrates function in the body is providing fuel for good bacteria, which then help us. Carbs like lactate will help your body to better absorb calcium, which is essential for healthy bones. Your body needs carbohydrates so that it can burn fat. One breakdown product of carbs is oxaloacetic acid. This is needed for the body to metabolize fats. If your body did not have this breakdown, fats would be turned to ketones. These may be toxic to your body. That’s why you need carbs, so that fats can be correctly metabolized by your body. This refers to the way in which carbs are vital to your immune system. Proteins and antibodies used in your immune system contain protein and carbs. If they didn’t have carbs, the combination carb/protein molecules could not be formed. The component provided by carbs helps your liver to properly degrade antibodies. Carbs do more than provide you with flavorful foods. They are available in more varieties than most other foods. The GI tract digests them easily, particularly after they are cooked, giving your body the staple food it needs to function properly. There are only two main types of carbs that can be eaten, and although the functions are the same in each type, they have differing effects on the way your body metabolizes fuel. You take in simple carbs when you eat foods that include refined carbs, including sugar, white breads, cookies, cakes and some fruits. These simple sugars enter the system quickly and may raise your insulin levels. These increases can lead to the development of diabetes. The optimal way to get simple sugars in your body is through dairy products and fruit. Fruits contain simple carbohydrates, along with vitamins, fiber and nutrients. It’s OK to take in simple sugars that do also contain some healthy components. If you eat candy, though, it doesn’t provide you with healthy components, and could lead to potential diabetes issues. Complex sugars are known by the classification of starches. They are one of the complex carbs found in mainly whole grains – rice, pasta and bread. These foods contain much healthy fiber, which allows a slower absorption of carbs into the GI tract. These foods are able to fill you up more than you’ll find with simple sugars, too. They are generally good, health-wise, as long as you don’t take in too many refined carbs. Check out more tips about eating carbs from THIS VIDEO to get the most beneficial carbohydrates function. Previous articleHow Many Carbs in Broccoli?